Rich, fudgy brownies receive a major upgrade with a hit of Bailey's Irish cream. This decadent dessert is the perfect treat for a St. Patrick's Day celebration... or even just for the end of a long week. 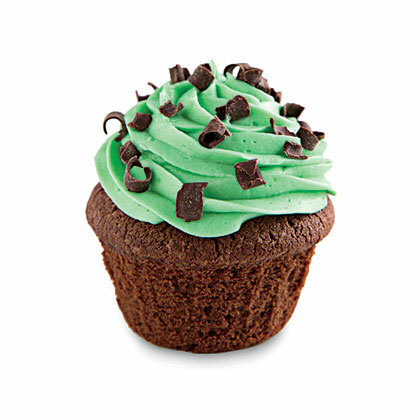 For a treat that's equally as lucky as it is sweet, there's nothing better than this adorable, St. Patrick's Day dessert. This gluten-free version of an Irish classic smells heavenly as it bakes. Traditional Irish soda bread is a staple in any Irish meal and uses baking soda, rather than yeast, as a leaven. Just in time for St. Patrick’s Day, our Irish-American writer asks her mom how she got her waitress salary to feed a family when she was young—and what frugal tips she can teach us today. We're suckers for a good cake mix cake, especially when you can't tell, and especially when it's loaded with boozy Bailey's.